Maj Gen Alok Deb, SM, VSM (Retired) was commissioned in the Indian Army in 1977. He is a combat veteran of the Kargil war and has commanded an Artillery Division. He has served in all types of operational environments in India and also abroad as a UN peacekeeper. 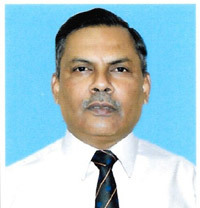 He is a graduate of various military institutes of higher learning in India and has earned two M Phil degrees in defence and strategic studies during his service of over 37 years. He took over the appointment of Deputy Director General in November 2016.